Recently awarded “Best Private Dining” by MN Meetings & Event Magazine, CRAVE is home to the best venues for parties and events in Minnesota! From menu design to decor, our experienced and dedicated staff will work with you every step of the way to execute the perfect event. Whether you’re planning a birthday, wedding, social gathering, or corporate event, our goal is to ensure your event is truly unforgettable! 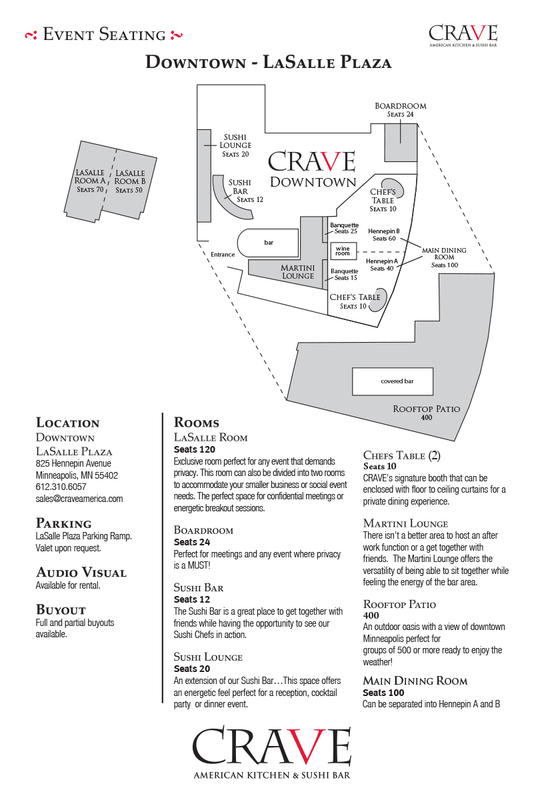 Book CRAVE – La Salle Plaza For Your Event Today!